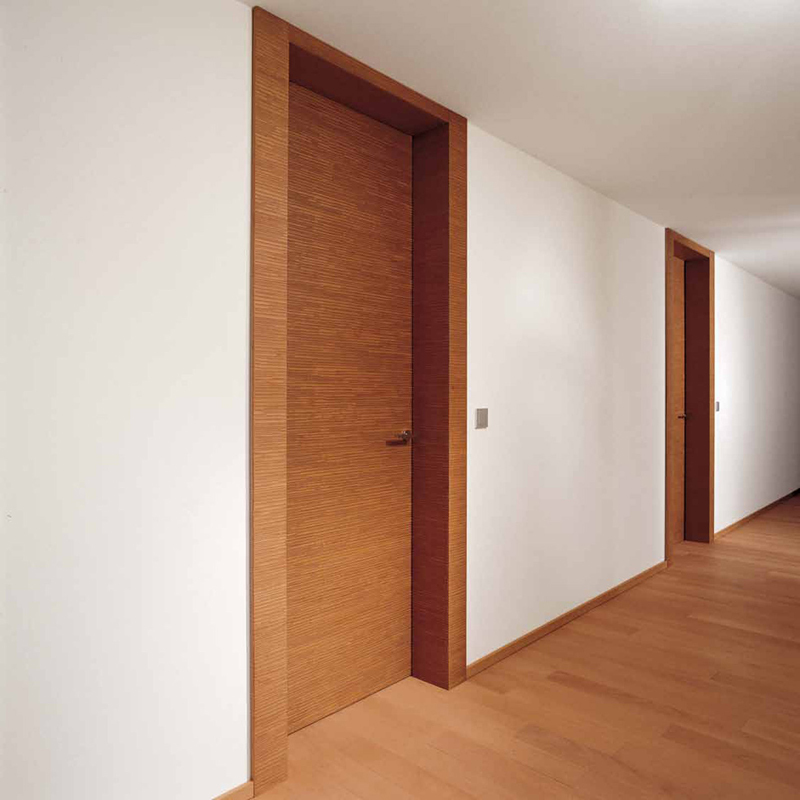 Custom door system shown in oak wood. Also available in rosewood, cherry wood, wenge, teak, or walnut wood. The jamb covers have the same material as the door giving the appearance of a single unit. Made to measure production available. Please contact Usona for further details. Shown in carved oak wood.